A beautiful symbol of life, a floral tribute is a wonderful way to express your feelings for a friend or loved one. 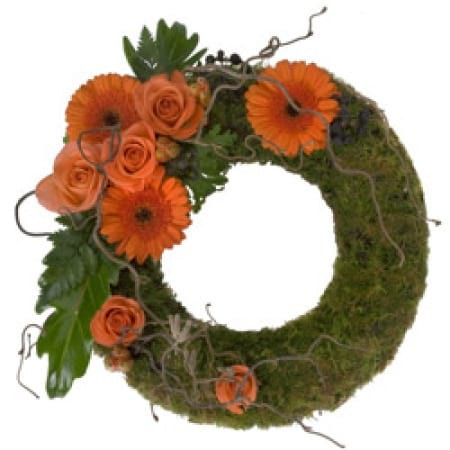 This modern wreath is suitable for delivery to the funeral service only (it is not suitable for delivery to the home). A stunning Interflora design with orange gerberas, orange roses, dodda vine and a moss covered wreath. Brought to you by Amaranthine Flowers By Design, Charlestown Square, Newcastle.